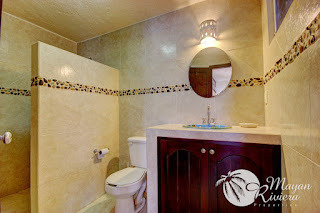 Ever wondered what was behind the walls at Marviya? Well, now you can find out! 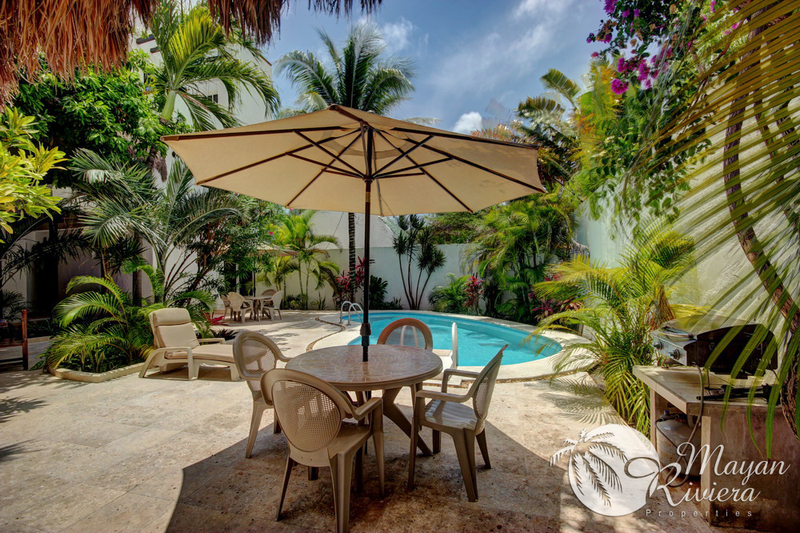 This gorgeous boutique complex of just 10 units is built around a gorgeous, lush courtyard with a pool and grill area. 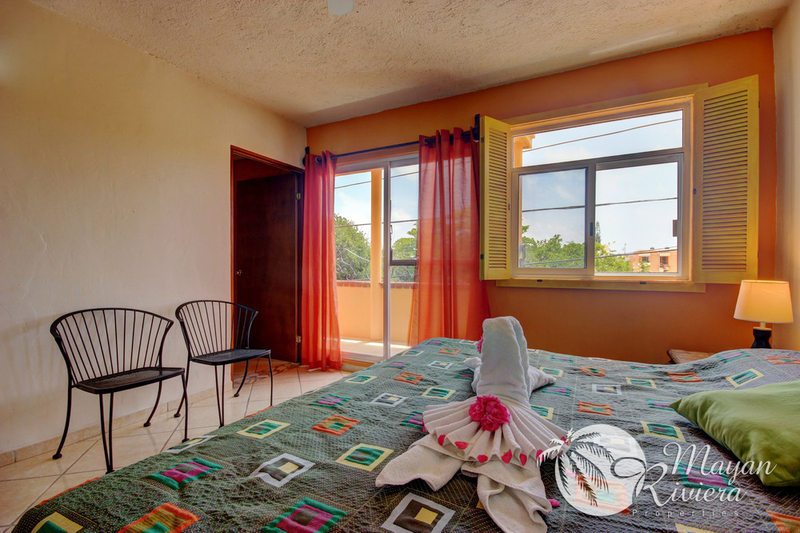 Every condo opens out onto the courtyard and some have private balconies as well. 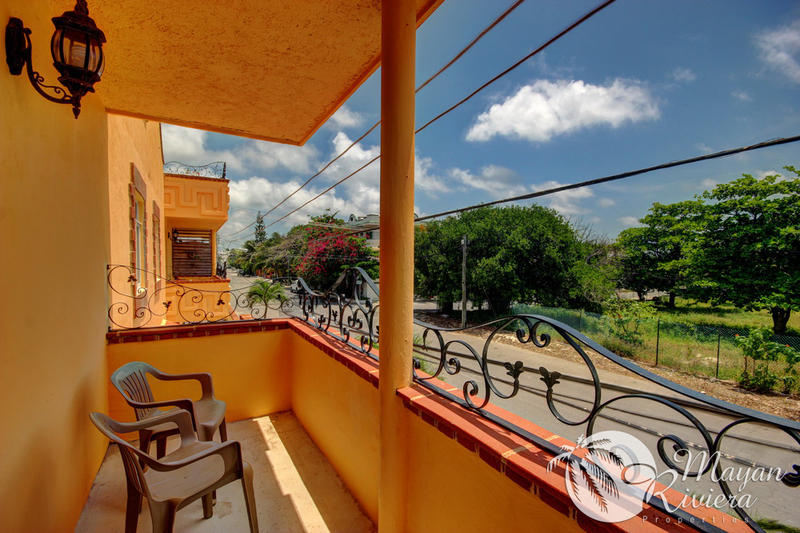 Marviya is perfectly located just 1.5 blocks from the Caribbean Sea and 2 blocks from the Town Square - no car necessary here! Just an easy walk to the beach or to the great shops and restaurants in town! 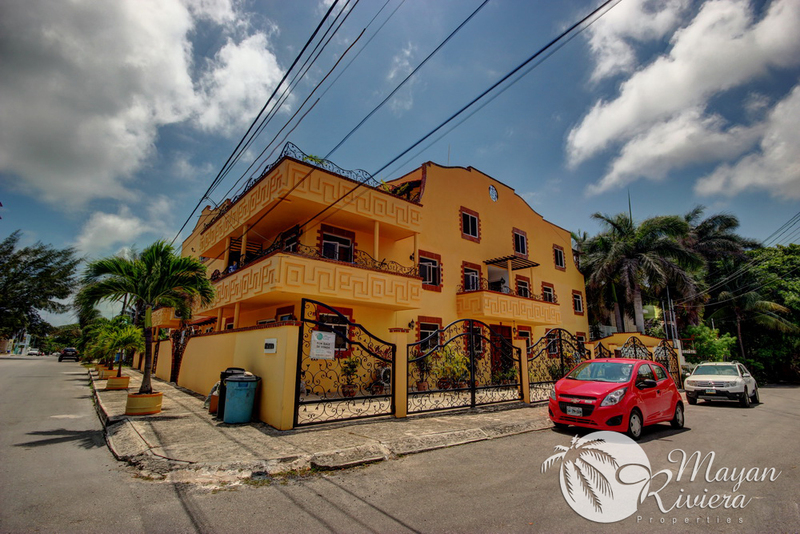 There are 6 units available for sale - 4 on the ground level and 2 on the second floor. 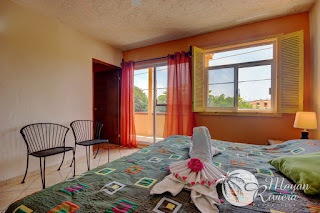 The condos are each around 600 square feet, and have either a master bedroom with walk-in closet, or a master bedroom and a smaller bedroom suitable for a twin bed and small wardrobe. All the condos are designed to maximize light and air, and smartly designed to take advantage of the compact space. 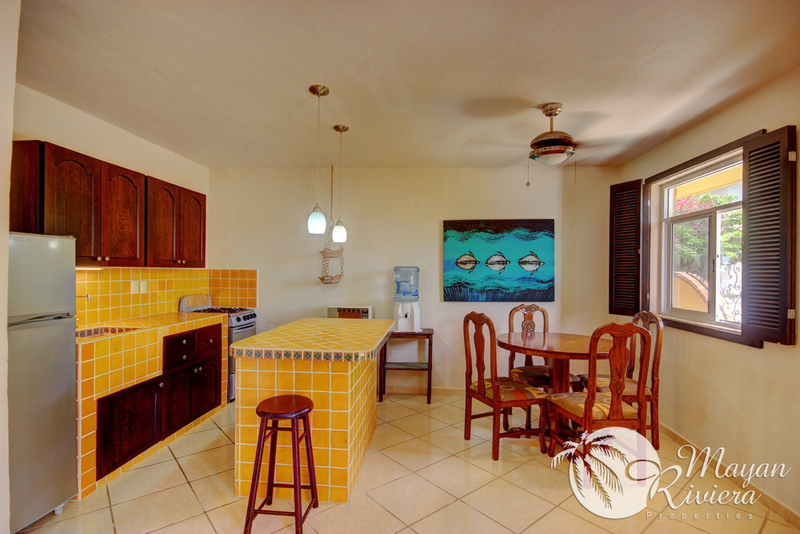 Each has a full kitchen, complete with appliances and an island for extra counter space. All condos are fully furnished and immaculately maintained. 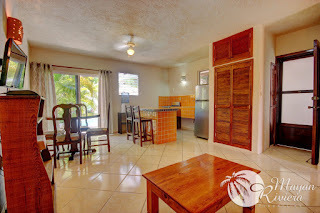 Each unit is separately titled and has a great rental history! 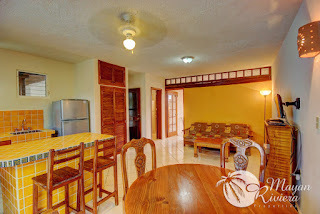 At just $150,000 USD you can have a vacation home on the shores of the Caribbean and an opportunity for rental income. 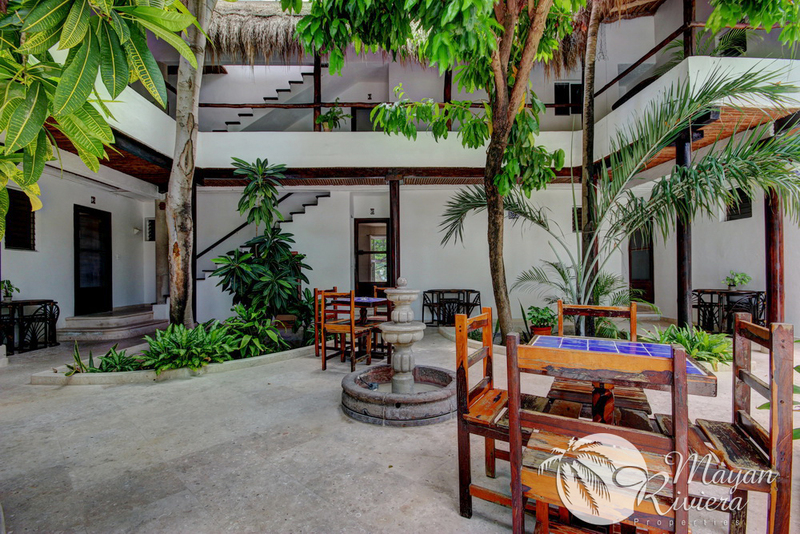 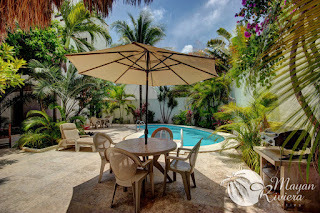 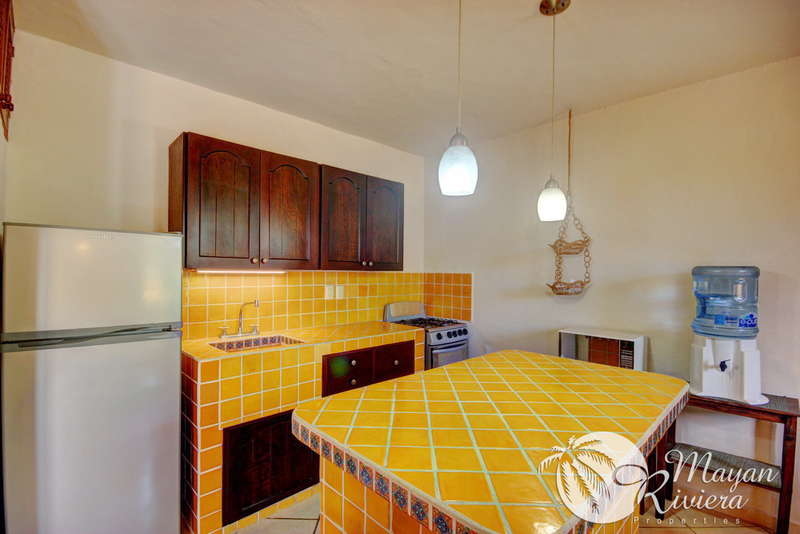 If you've been looking for an affordable vacation home in Puerto Morelos, you've got to see Marviya! these are a great option at just $150,000 USD!